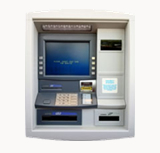 Our engineers are highly qualified and experienced in several automated teller brands in the industry. We offer our clients our technical support line for direct access. Remote Support: For identifying and troubleshooting minor problems. On-site Support: Our engineers are available to provide support in multiple countries. Copyright © ATM NET Systems & Solutions, 2010. All rights reserved.